Although Kanban supply management processes have been around for over seventy years in the automotive industry, it has only recently been successfully applied in healthcare as a way to streamline the supply chain management process. Unlike the traditional Periodic Automatic Replenishment (PAR) systems that require operators to “guess” what should be replenished and when, the Kanban system creates a standardized supply replenishment process without involving a lot of manual work. As a pioneer in commercial standardized Kanban replenishment system tailored for healthcare providers, BlueBin’s solution ensures supplies are delivered to the right place, in the right quantity, at the right time. 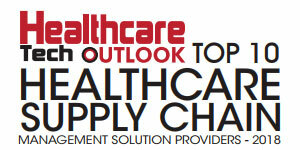 “Such ability provides immediate, tangible and measurable results in the healthcare supply chain; removing ambiguities and overcompensation of traditional supply systems,” explains Charles Hodge, president of BlueBin. In addition to the Kanban system, BlueBin empowers healthcare providers with a breadth of analytics with respect to their supply chains, analyzing everything from supplies velocity, to productivity, to overall expense, as well as comparisons with other hospitals in terms of supply utilization, inventory holding, and other measures. For those hospitals who do not wish to change their existing PAR systems can opt for BlueBin’s newly launched Handheld System embedded with analytics to optimize their traditional supply chains. “This way, the hospital can quickly measure and forecast the changes in their traditional systems in a way that drives continuous improvement without having to physically change the management system already employed at the point of use locations,” says Hodge. At the onset, BlueBin carries out a complete replacement of hospitals’ existing supply chain systems and installs its Kanban solution, which is a two bin supplies delivery system that uses visual triggers to deliver the right supplies, to the right place, at the right cost. The solution advocates patient safety by eliminating excess and obsolete supplies as it maintains the appropriate stock levels to flex with the unpredictability of healthcare environments. “We guarantee a 5% to 7% reduction in medical supply expenditure while saving 20-30,000 clinical hours to patient care annually by installing our solution,” quips Hodge. BlueBin Kanbans or data from any other POU medical supply solution are scanned to the BlueBin server, which then compiles the data and provides hospitals with real-time performance analytics and loads order information into their ERP system. Finally, requisition data combined with ERP transactions enable BlueBin’s Daily Management System. This system can be used for any supply chain solution and is responsible for providing intuitive and user-friendly performance metrics, ensuring long-term sustainability through data-driven decisions while continuously reducing medical-supply expenses. In one instance, The Ohio State University- Wexner Medical Center (OSUWMC) was facing inadequate supplies. On review, they found that the root cause was that the supply coordinators were utilizing a PAR-cart push inventory system and spending huge amounts of timing estimating inventory levels. Further, supplies were often disorganized or hidden because there wasn’t a standard for supply room design, which frequently led to confusion and re-work.BlueBin’s system is currently deployed in approximately half of the organization’s inpatient facilities, and the Center is already seeing significant savings which include a 6% reduction in medical supplies expense, as well as improved space utilization, and clinical workflow optimization. Looking ahead, Hodge says that the company is focusing on adding new features and functionalities such as receiving functionalities and perpetual inventory management tools to its Handheld System. “By the end of 2020, we are looking to create a complete “supply chain in your hand’ system that is producing the same best in class analytics for everything the hospital’s supply chain team manages” concludes the president.